So you’ve just had a new window installed in your home and you now need to install Interior Window Trim. You’re thinking this is a project that you would like to do yourself, but not quite sure how to go about it. Well HomeAdditionPlus.com has come to your aid. 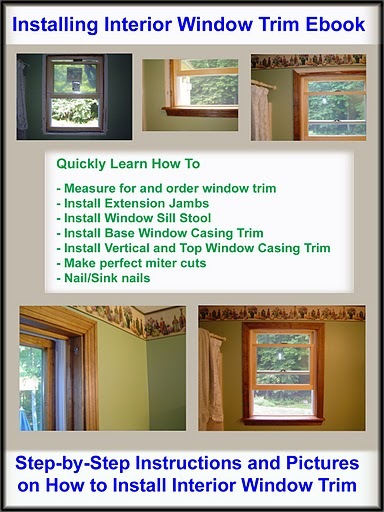 The Installing Interior Window Trim Ebook provides easy to understand, step-by-step instructions, on how to install interior window trim. Pictures are included for every key step in the process! Order Now and Immediately Download the Installing Interior Window Trim EBook today! The Installing Interior Window EBook costs only $15 and is 100% guaranteed. Reduce Risk and Save yourself Time and Money! !